Alisa Hill, a senior political science major, has overcome several challenges to be able to get accepted into Northern Illinois University’s master’s in public administration program. 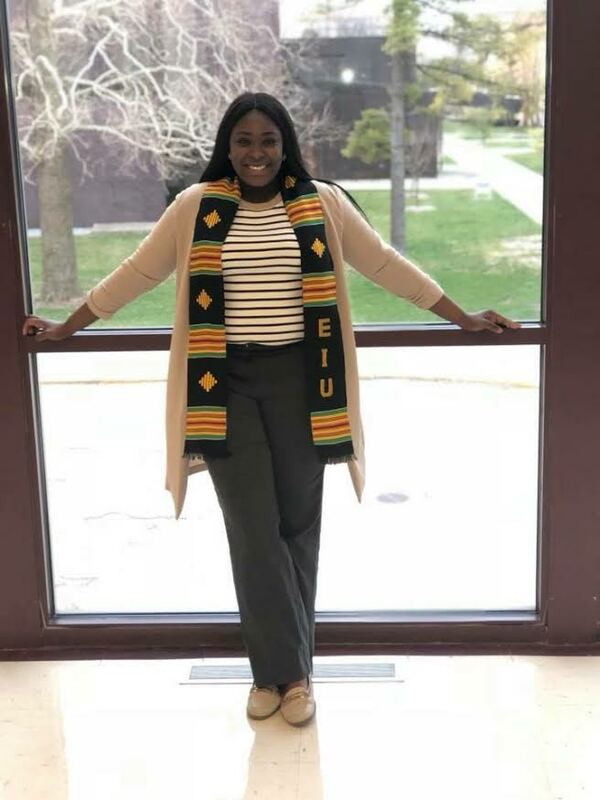 While at Eastern, Hill has never received less than a 3.0, earning multiple scholarships as well as the TRiO Achiever Award and being named Eastern’s Top Black Scholar. Alisa Hill, a senior political science major, has overcome several challenges in her journey into Northern Illinois University’s master’s in public administration program. Hill was accepted into Eastern through the Gateway program; she was out of it by her second semester with a GPA of 3.2. While at Eastern, Hill has never received anything less than a 3.0. Hill has received the Johnetta Jones Scholarship, the Elisha Baumgartner Scholarship and the James E. and Joseph T. Connelly Scholarship. She also received the TRiO Achiever Award and has been named Eastern’s Top Black Scholar. At the 2018 Political Science Banquet, she received the GPA Academic Achievement Award. Hill has been a part of the NAACP, College Democrats, the Political Science Association, the Black Student Union and Sigma Pi Alpha. Hill’s path to success was not easy. She funded her own education, working 60 hours a week while also traveling back and forth to Chicago to work with community partnerships. She struggled with what he said to her because at the time she felt like he was right. Hill was still able to use what the professor said to push her so she could prove him wrong. During the process of finding out who she was, Hill said she also ended up losing friends and relationships. She said her biggest accomplishment at Eastern was being one of the few black faces in the political science department. Her advice to students who are still at Eastern is to take advantage of scholarships and not to be afraid to reach out. Hill said students should look at their grades as money.“Bad grades equals no money; no money means you can’t pay for school,” Hill said. She said she was able to achieve what she did by staying focused and maintaining great organization. Hill communicated with teachers, engaged in classroom discussion and asked questions whenever she was not sure of something. She also made it a big deal to prioritize her time and responsibilities. When it came to getting projects and papers done, her study tactics included deleting her social media, turning her phone off, playing classical study music and using a Himalayan salt lamp. After graduation, Hill will start graduate school at Northern Illinois University. She will work at a two-year paid internship with a salary between $16.27 and $22.50 an hour to work for a city management office proposing budgets. Getting into graduate school was her goal, and the internship was a bonus, Hill said. She will be working with her community partnership, A Long Way Home, which is a non-profit organization that helps end gender-based violence against women through art. She is an alumni director and helps to ensure all girls have a project, giving them ideas and a safe person to talk to. The women and girls in the program face domestic violence issues, sexual harassment, sexual assault and the loss of loved ones due to gun violence. Hill became involved in the program because she herself was a victim of domestic violence.